The SD Association, the multi-vendor consortium responsible for developing standards for Secure Digital flash memory cards, has unveiled the newest version of the Secure Digital standard, SD 5.0. The latest iteration of the standard has been released specifically to accomdate video capture, particularly the write speeds needed to record 8K (7680x4320) and 360° videos. To that end, the upcoming SD 5.0 memory cards will introduce the Video Speed Class labeling, as well as a newer protocol that takes into account new NAND flash architectures, enables higher transfer rates and supports multi-file recording. In order to address the needs for video, the new standard will be tackling both transfer rates and the overall nature of writes with video recordings. The new standard does not introduce a new bus - the current UHS-II bus supports over 150MB/sec in full duplex mode, more than any SD card can currently handle - but rather the focus is on the cards themselves and how they behave. In particular, the SD 5.0 standard takes into account the fact that recent, high capacity NAND flash chips feature larger block sizes (the smallest area of NAND flash memory that can be erased in a single operation) than previous-gen chips. For example, SK Hynix recently released planar MLC and TLC NAND ICs (integrated circuits) with 6 MB page and 9 MB block sizes, whereas upcoming 3D NAND flash from Intel and Micron will feature 16 MB (MLC) or even 24 MB (TLC) block sizes. . Erasing a group of larger blocks takes less time than wiping out a huge number of smaller blocks, which is why larger blocks enable faster write operations, something that is needed to build memory cards for UHD video capture. The Video Speed Class standard includes a set of 37 block sizes that range from 8 MB to 512 MB, which should be sufficient for the foreseeable future. In addition, the SD 5.0 VSC protocol supports simultaneous interleaving of eight different files, which is useful for 360° videos, multiple independent video streams, or even numerous high-quality still pictures taken at the same time. It should be noted that while bigger NAND blocks enable faster writes, NAND flash controllers dealing with such blocks should support sophisticated algorithms to minimize the number of block erases. If they do not, memory cards will wear out rather quickly if used intensively. Moreover, the new controllers will have to "know" how to efficiently work with modern NAND flash architectures. As a result, SD 5.0-compatible host controllers are going to get more advanced than today’s SD card controllers. Meanwhile when it comes to total write throughput, the new standard will also introduce new speed classes that require higher minimum write speeds than any of the previous classes, in order to ensure that cards that can handle the high speeds required for 8K and 360° video capture are labeled as such. The Video Speed Class label will have classes for 6 MB/s, 10 MB/s, 30 MB/s, 60 MB/s as well as 90 MB/s and will be marked as V6, V10, V30, V60 and V90, respectively. V60 and V90 are the most significant changes here, as the 60 MB/s and 90 MB/s write speeds are two to three times faster than the old UHS speed class requirements, which topped out at 30 MB/s. The SDA is positioning the V60 and V90 classes for 8K and 360° video capture, whereas V30 and V10 are intended for 4K or full-HD video with high framerates. While the new SD cards with V30 and V10 marks offer similar performance as SD cards with UHS Speed Class 3 and 1 labels, some of them may only be able to demonstrate their capabilities when paired with host controllers compatible with the SD 5.0 specification. Therefore, there will be be overlapping labeling where cards are labeled with multiple speed classes to denote their performance with each of the three speed class standards. SD Association did not reveal when the new cards and compatible devices are set to hit the market, but said that this will happen "soon". When SDA introduced its SDXC standard in early 2009, it took one card maker about three months to release its new cards with 32 GB capacities and a read/write speed of 400 Mbps. However, at the time there were no devices to utilize such cards. The first cameras with SDXC support as well as SDXC cards from well-known producers hit the market only in 2010, so it likely will be a bit until cameras supporting the new standard show up on the market. UHS-II currently has a bus speed of 156 MB/s (full duplex) or 312 MB/s (half duplex). 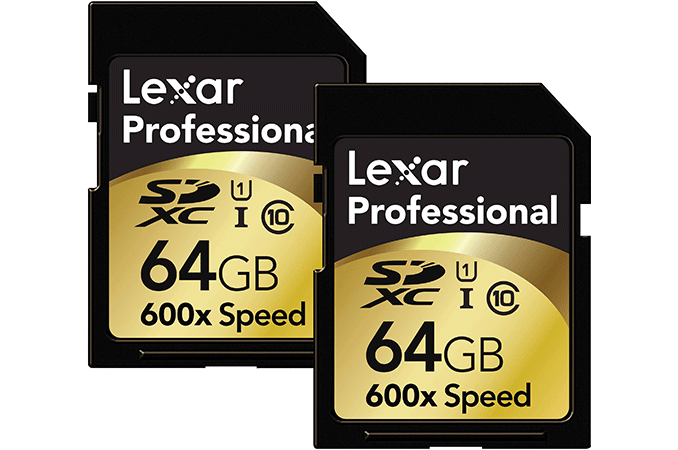 Lexar currently makes some UHS-II cards with read and write speeds over 250MB/s. 1) It makes it dead-simple for non-techies to understand what they need to buy. Your camera takes UHS-1 cards? Great. Buy a UHS-1 card. Done. 2) It keeps SDcard manufacturers honest. The Class-X / UHS-Y numbering scheme states minimum write speeds. Without it, SD card manufacturers would just list unrealistic ideal-condition maximum write speed (just like laptop manufacturers do with battery life). Really? It keeps them honest? Really....what's to stop them from just sticking UHS-1 on there instead of Class 10? "Your camera takes UHS-1 cards? Great. Buy a UHS-1 card. Done." So what's wrong with "your camera takes class 90 cards, buy a class 90 card"? Not to mention that any camera is backwards compatible so if it takes UHS it also takes class 2. So a normal person might be left thinking that maybe Class 2 is faster than UHS 1 because 2 is better than 1. Or that Class 10 must be a lot better than UHS 1. Its like those "GOTY, metacritic approved, e3 winner, ultimate collection" badges on games meme.